Beyond the hustle and bustle of cities, bike touring is a unique style of getaway – an adventure on two wheels to interesting places that can be as easy or as challenging as you choose. Touring can take you through a huge variety of landscapes and experiences, from tough mountain climbs and exhilarating descents to slow and relaxing trips with more time spent visiting gourmet wine and food outlets than actually riding. 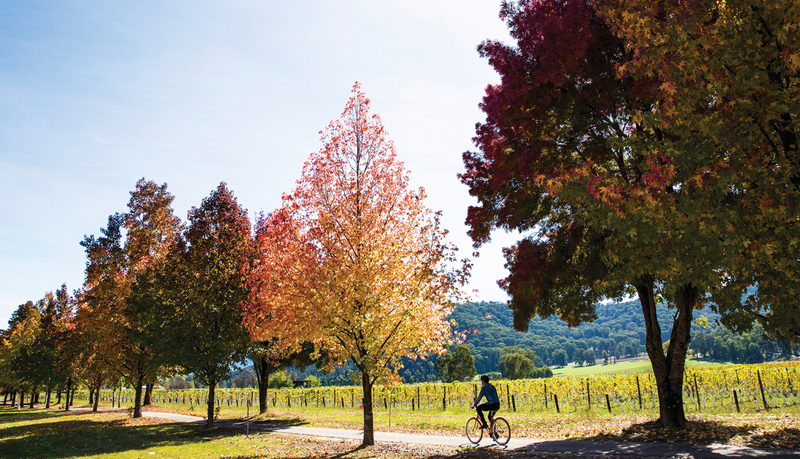 Australia’s diverse terrain offers ever-changing scenery as you cycle at your own pace and connect with the sights, sounds and smells of the countryside. It’s all about the journey between destinations – about stopping to enjoy and explore things you might otherwise miss. Anybody can go touring, including young children, on any sort of bike. It’s possible to spend a lot of time custom building a dedicated touring bike and set up, but don’t let this put you off; you can tour on the bike you already own. It’s preferable to have some luggage carrying capacity, though it’s not essential. A light back pack is often all you need for a short credit-card tour in fine weather. However, back packs aren’t recommended for heavier loads as they can upset your balance on the bike and tire you out prematurely; it’s better to have racks and panniers and let the bike carry the load on extended trips. 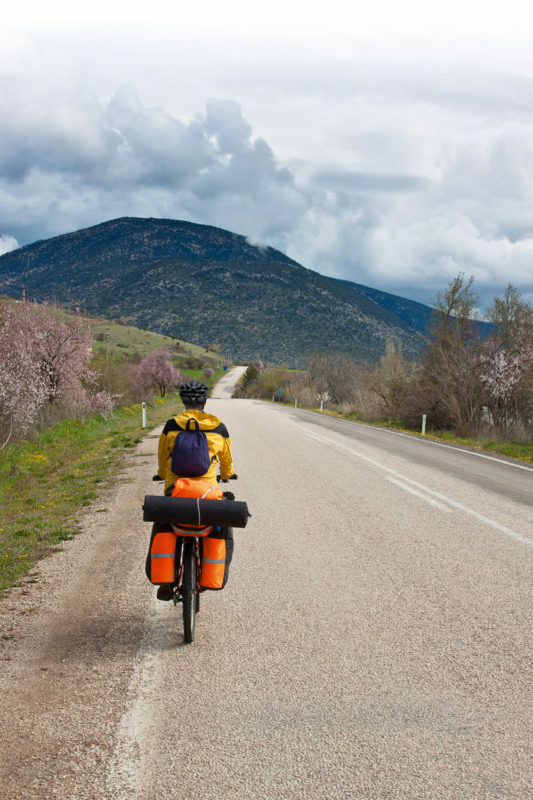 The great thing about bike touring is that you don’t need to be a super cyclist to enjoy it — it’s all about setting realistic and achievable goals that suits your style of riding. Before getting started on your first adventure, we recommend that you spend some time in the saddle. Going for a few longer rides will help make sure that you’ve got the right bike fit and that your body is up for tackling multiple days of riding back to back. One of the best things about bike touring is that you’ll notice yourself getting stronger as the days roll on. So what’s stopping you from getting started? Do you want to experience a fully supported cycling tour? 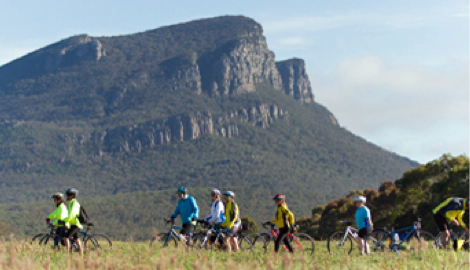 The Great Victorian Bike Ride is a fun, friendly and challenging cycling holiday where you’ll join a community of bike riders exploring Victoria’s beautiful countryside over 3, 5 or 9 days. Bike touring is generally thought of as riding for two or more days and staying somewhere other than your home town, but there are so many different ways you can approach it. Here’s just a few of the more popular touring options. 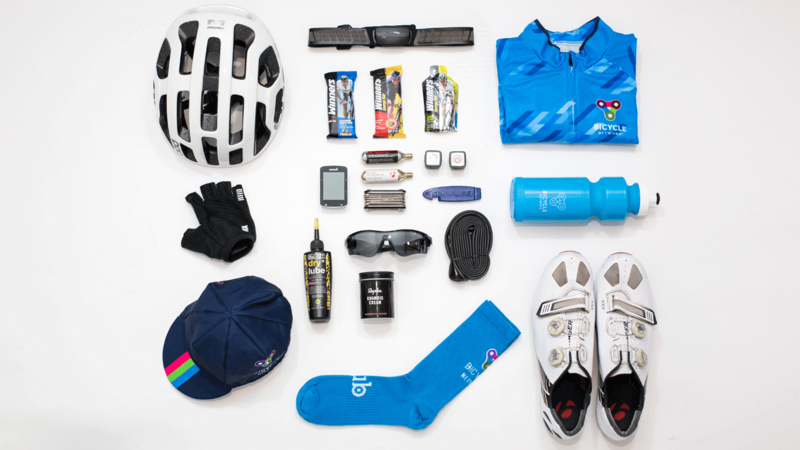 Riders carry very little, just some basic tools, a change of clothes and a few snacks. The trip is planned around staying in accommodation (such as B&Bs, pubs, motels, hostels or caravan park cabins) and buying all meals along the way. It’s the easiest way to tour by bike, but also the most expensive. People often marvel at the weight of the loaded panniers self-supported bike tourists use to carry their gear. All four panniers on a touring bike are loaded up front and rear with clothes, camping and cooking gear, food, water and tools. Riders might camp along the roadside, or in a national park or caravan park. They’re happy to ride all day, stop where they want, cook food carried in their panniers and sleep in an outdoor setting. Their bikes are set up with a wide range of gears, stronger wheels to carry the load and a longer wheel base for stability and to accommodate panniers. The big advantage of this type of touring is that you can go anywhere you like. These are two extremes. Many people opt for something between the two. They might camp in towns and eat out at a pub, or carry most of their food but cook it in the camp kitchen of a caravan park or a self-contained unit, or camp some of the time but stay in accommodation when the weather is bad or they feel like a break. This involves transporting your bike and gear to the start of a ride and setting up there. Each day you go for a ride and return to the same place every night. Base camps allow you to really get to know and explore an area. You can normally ride further because you don’t need to carry much with you each day. They’re particularly good for groups of riders with differing abilities. You can go on separate rides during the day and meet up in the evenings to swap stories. This can range from one person in a car carrying the bags for a group of friends, to mass participation events such as the Great Victorian Bike Ride. 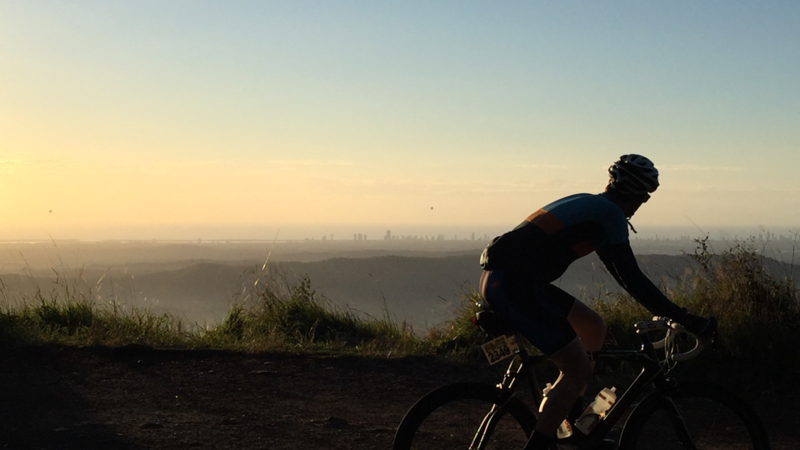 A mass-participation ride is a great way to tour and meet like-minded people. These rides last for several days and can have thousands of riders. If the crowds put you off, many commercial operators run tours for smaller groups. Meals are provided, luggage is carried and there is a ‘sag wagon’ to give you a lift if you get too tired. Accommodation typically involves camping overnight and daily distances are approximately 80 km (you can always tackle this at your own pace). These tours are popular in Europe and there are a number of operators in Australia too. The tour operator supplies maps, riding directions and sometimes even a GPS with the route pre-loaded. They will meet you every morning to pick up your luggage and drive it to your destination that night. They will normally book the accommodation for you and sometimes supply dinner and breakfast. You are responsible for finding your way each day but you can also spend as long as you like taking in the sights along the way. Self-guided tours are often a very cost-effective way for couples and small groups to explore an unfamiliar region. If you have a mechanical problem, don’t be afraid to ask a farmer or service station proprietor for assistance. These people are often very resourceful and happy to help out. Carry some basic tools including a chain breaker. Even if you don’t know how to use them, chances are that someone you meet will. Don’t skimp on what you eat – it’s your fuel. The bike rider’s ‘bonk’ can stop you dead. You can easily eat twice as much touring as you do at home. Top up your water bottles at every opportunity. Put your sleeping bag inside a plastic bag and then inside the sleeping bag cover. The plastic will keep it dry and the cover will protect the plastic from tears. 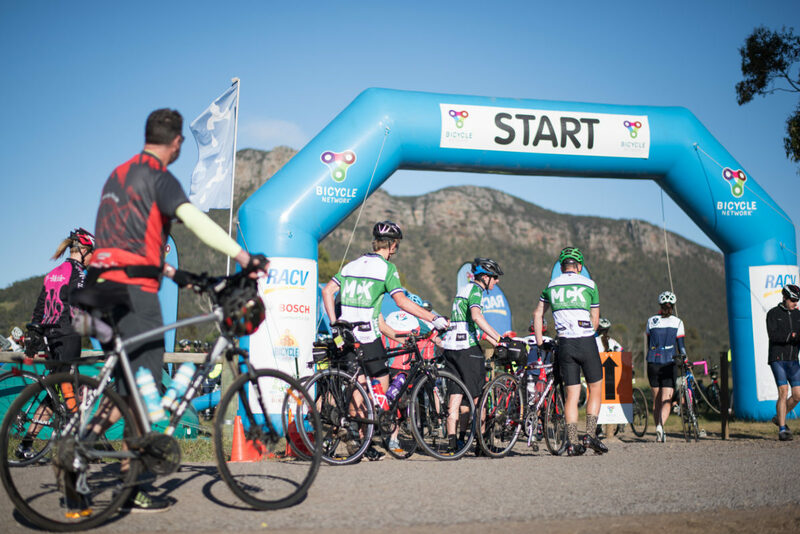 Kick off your bike touring adventure at the Great Vic Bike Ride and join 3,000 like-minded riders as they discvoer some of Victoria’s hidden cycling gems.